Showings start Thursday June 2. Be sure to check out the video for a personal tour! Gorgeous Norwood Flats 3 bedroom home! All the major upgrading has been done, just move in and relax. Renovated open style kitchen with oak cabs, pot lighting and stainless steel appliances. Bright and spacious living room and dining room combo with high ceilings and hardwood floors. Upstairs there are three spacious bedrooms and a beautifully renovated modern bath boasting new fixtures and a neo-angle shower all enhanced by the classic micro tile look. In the basement there is a cozy rec room and large laundry/furnace room. 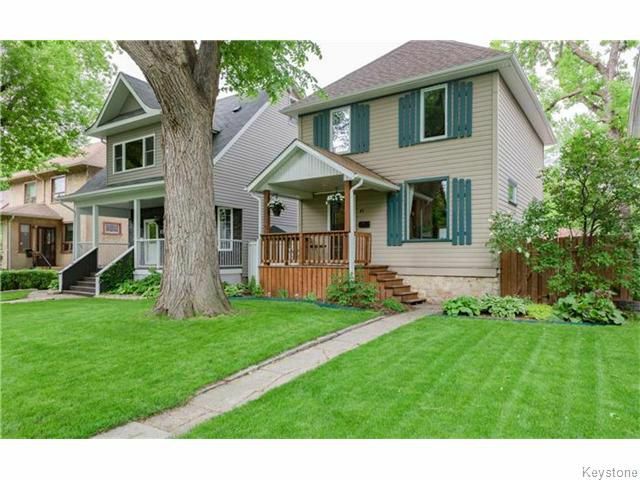 Gorgeous fenced yard with deck, patio, and insulated garaged with separate workshop area. All the major upgrades are done including shingles, windows, furnace, wiring, plumbing and newer central air unit. All this is nestled in a prime location in the heart of the Flats. Don't miss this one! It shows AAA!